Azerbaijan’s state energy major SOCAR has launched dividend payment to owners of its USD bonds. Azerbaijan’s state oil company SOCAR announced that it would buy back 2017 eurobonds worth $403 million, Reuters reported on January 27. SOCAR (the State Oil Company of the Republic of Azerbaijan) announces about redemption of Eurobonds amounting $500 million maturing in 2017. The Kazakh “KazTransGas” has partially bought back bonds worth $270 million by means of submitting a public offer on the purchase to holders of Eurobonds, which were issued in 2007 with a circulation period until 2017, the company said Nov.25. 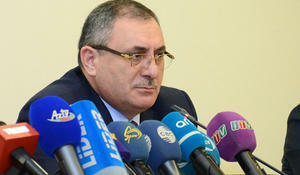 Azerbaijan`s state energy firm SOCAR announced that it plans to issue Eurobonds this month. Fitch Ratings has assigned Azerbaijan's $1.25 billion worth 2,024 eurobonds a 'BBB-' rating, in line with the sovereign's foreign currency Long-term Issuer Default Rating (IDR). Azerbaijan has raised $1.25bn in its first international bond sale, the Financial Times reported. Kazakhstan Finance Ministry intends to issue Eurobonds in 2014, Novosti-Kazakhstan reported with reference to the ministry. Azerbaijani state oil company SOCAR placed Eurobonds in the amount of $1 billion for 10 years on the CEEMEA market (Central & Eastern Europe, Middle East and Africa) with 4.75 percent annual revenues.